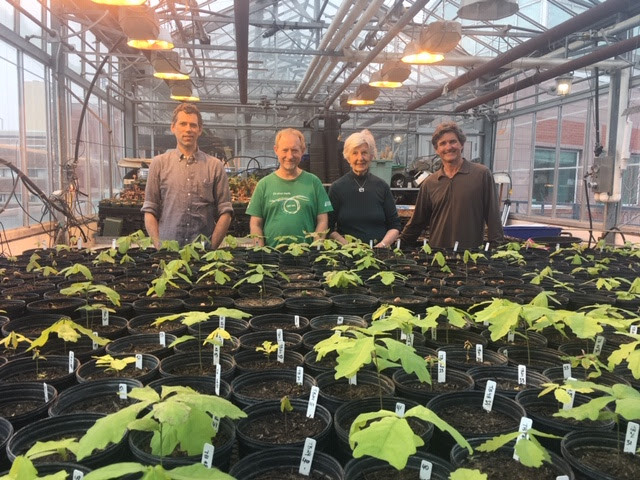 400 oak seedlings planted for school planting programs for ravine stewardship – Urban Forest Associates Inc.
Left to right: Eric Davies, U of T, Stephen Smith UFORA, Joan York from the DPRG, and Marc Letourneau NRRA look over 400 planted oak acorns that have sprouted. This post is taken from the Deer Park Resident’s Group Spring 2019 newsletter. All text and photos belong to Deer Park Resident’s Group.